Register and pay below for the February 4-8, 2019 Rolling Surveillance training in Palm Springs, CA. Payment may be made via Credit Card or PayPal. Please contact us for other payment methods. Thank you. Learn more about the class from the flyer/schedule button below. Thank you. 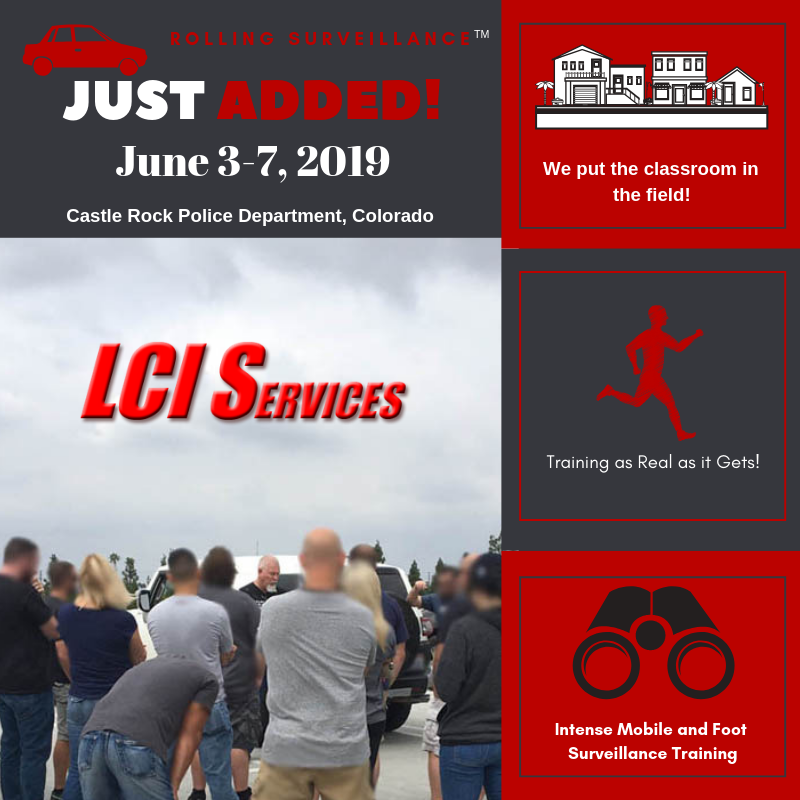 Pay by Credit Card or PayPal for Rolling Surveillance Law Enforcement Training in Palm Springs, CA – Feb 4-8, 2019. $555.00 Early Bird Payment if received PRIOR to January 14, 2019. $585.00 thereafter.